TURKU, Finland, Dec 6, 2016 – The new version 2016.11 of the MEP design software MagiCAD for Revit and AutoCAD introduces important new productivity-enhancing workflows on top of Revit and AutoCAD technologies. 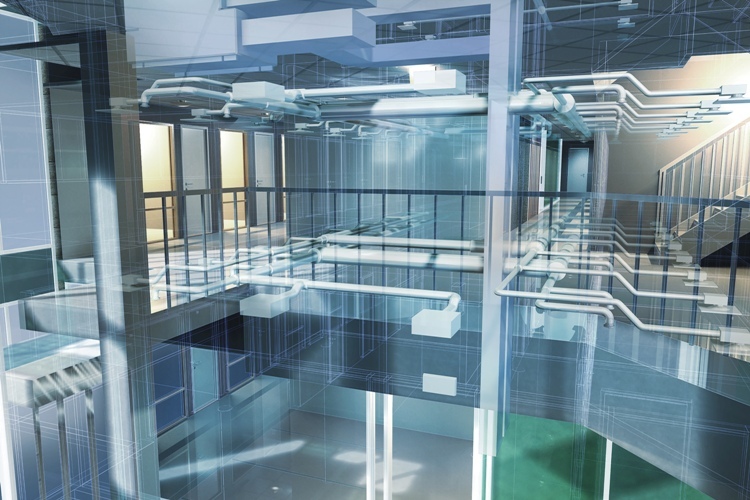 MagiCAD offers a comprehensive and advanced solution for all ventilation, piping and electrical Building Information Modelling, design and calculations needs. MagiCAD 2016.11 supports Revit 2017-2016 and AutoCAD 2017-2013. The new MagiCAD 2016.11 for Revit now offers a complete MEP calculation solution on Revit platform, with the capability to perform all of the thorough MagiCAD calculations now also on native Revit families. In previous versions, MagiCAD for Revit has already offered full design functions with both native RFAs and MagiCAD RFAs, as well as full calculations with MagiCAD RFAs. The new version also integrates consistently with native Revit units of measurement, optimizes drawing legends for quantity take-off documents and bills of materials, and provides easy functions for locating potential errors and failed objects in the model after IFC export. Further, MagiCAD2016.11 for Revit introduces many intelligent new tools and improvements for ventilation, piping and electrical design, including e.g. substations and wall boxes as new product types. For the design of support and hanger systems for ducts, pipes and cable trays, MagiCAD 2016.11 for Revit brings dramatic improvements to system performance, capabilities for DXF export and support for assembled supports and hangers. Click here for a complete list of new MagiCAD functions for Revit. The new MagiCAD 2016.11 for AutoCAD automates many complex data processing tasks and project export procedures. Among the new functions are a Quick-Start Project Setup Wizard for easy and fast setup of projects with localized settings, simultaneous update of all model drawings at once, Find & Replace functions for all textual parameters, as well as an automated function for exporting projects to IFC format in batches. Moreover, MagiCAD 2016.11 for AutoCAD brings new tools, calculations and improvements for ventilation, piping, electrical and systems design. Click here for a complete list of new MagiCAD functions for AutoCAD. MagiCAD enables MEP design using Europe’s largest product model database, featuring over one million actual products and product variants from 220 leading manufacturers across the world. Each model within the database comes complete with accurate dimensions and comprehensive technical data. MagiCAD offers localisation for different country-specific standards, and it is used by numerous major contractors and designers in a variety of projects across the world. Progman specializes in software and services for the building industry. Their popular MagiCAD software for Revit and AutoCAD, is the number one building information modeling (BIM) solution for mechanical, electrical and piping design in the Nordics, Russia and China. In addition, their online BIM library, MagiCloud enables access to more than 1,000,000 intelligent 3D product models from leading industry manufacturers. Each product has been carefully modeled to contain accurate dimensions and comprehensive technical data. With more than 30 years of experience in the industry, their team of passionate software professionals continues to provide their customers with intelligent solutions which make daily engineering and design easier, faster and more profitable. Their products are developed in Finland and they are sold in 56 countries around the world. Progman is a Glodon Group company. For more information, visit www.magicad.com. This entry was posted in CAD-CAM-CAE, Featured News on December 6, 2016 by Sharmila Guha.